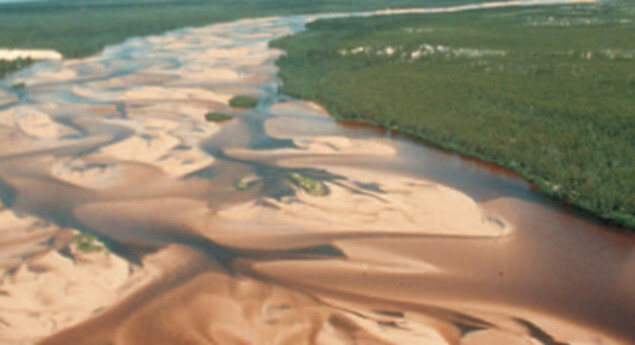 The Athabasca Sand Dunes consist of a series of dune fields stretching for about 100 km along the south shore of Lake Athabasca in northwest Saskatchewan. This is the largest active sand surface in Canada and one of the most northern sets of major dune fields in the world. The outstanding scenery is combined with a unique ecosystem, rich in rare and endemic (found only here) plants which scientists consider an evolutionary puzzle. Photo Credit: Picture taken by Tim Beckett, released under the Creative Commons Attribution 2.0 Generic. Text Credit: Content from Sasketchwan Parks. We do not have sand dunes like this at home, so cool to see! I went here with my family when I was little! I had lots of fun, it was really cool to see something so unique! True or False: The Athabasca Sand Dunes are the most northerly active sand dune formation on Earth. Photo: Picture taken by Tim Beckett, released under the Creative Commons Attribution 2.0 Generic.